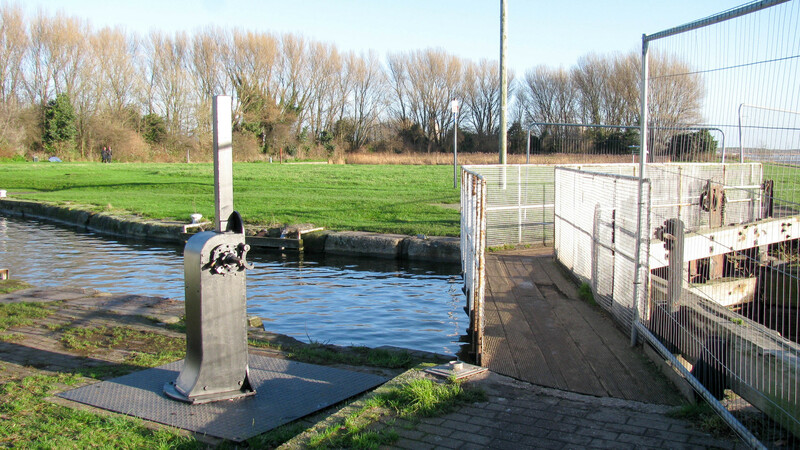 The entrance lock is in full working order and available for use when the tide is in. A well used footpath runs across the top gate. The fencing on the right of the photo is for safety, stopping people falling into the lock which is deep and muddy when empty.